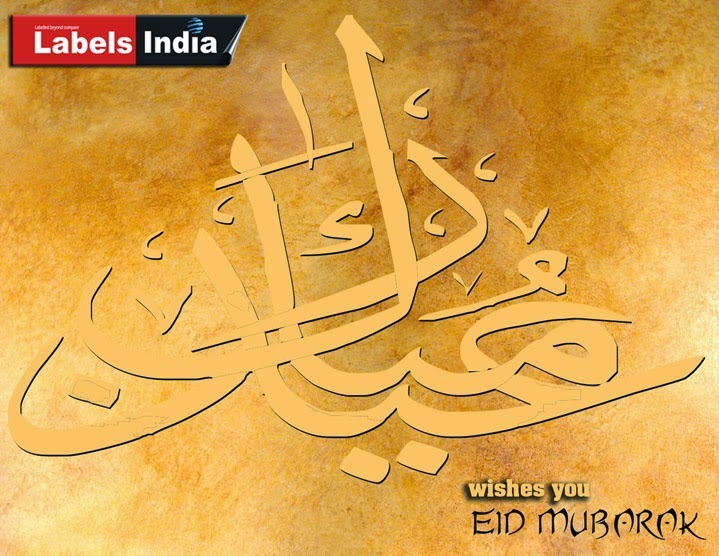 Essel Propack announces the divestment of its wholly owned subsidiary Packaging India Pvt. Ltd.
Essel Propack Ltd. - a global leader in laminated plastic tubes catering to the FMCG & Pharma space, recently announced the divestment of its wholly owned subsidiary, Packaging India Pvt. Ltd. (PIPL) to Amcor Flexibles India Pvt. with immediate effect. The agreement has been signed and the deal is completed for full cash consideration. The divestment is part of company’s strategy to exit non-core adhesive lamination packaging business and pursue growth opportunity in its core tube packaging business which has great potential across the globe in Beauty & Cosmetics, Pharma & Health and Food categories. The Enterprise value of the divested business is Rs.165 Crore. The deal will provide PIPL and its talent an opportunity to further grows and prosper in the flexible packaging space as part of Amcor, an Australia listed global packaging company engaged in flexible and rigid packaging. Essel Propack, part of the USD 2.4 billion Essel Group, with turnover of over USD 350 million, is the largest specialty packaging global company, manufacturing laminated plastic tubes catering to the FMCG and Pharma space. Employing over 2600 people representing 25 different nationalities, Essel Propack functions through 25 state of the art facilities in eleven countries, selling more than 6 billion tubes and continuing to grow every year. Holding Oral Care market share of 33% in volume terms globally, Essel Propack is the world’s largest manufacturer with units operating across countries such as USA, Mexico, Colombia, Poland, Germany, Egypt, Russia, China, Philippines and India. These facilities cater to diverse categories that include brands in Beauty & Cosmetics, Pharma & Health, Food, Oral and Home, offering customized solutions through continuously pioneering first-in-class innovations in materials, technology and processes. Loparex to acquire 100% Ownership of India JV Kaygee-Loparex India Pvt. Ltd.
Loparex Group will assume 100% ownership of the India joint venture company, Kaygee-Loparex India Private Ltd.
Mike Apperson, Loparex CEO comments, “We are delighted to add the world class manufacturing capabilities of Kaygee-Loparex to the global Loparex family. In addition to the assets, we also welcome an incredibly talented and dedicated group of employees to our Loparex team, which will synergize our ability to bring additional value, not only to our local India-based customers, but also to our customers throughout the world”. Apperson adds, “The addition of Loparex-India compliments our unique and continuing investment strategy and our long term commitment to serving the diverse needs of our global customers. Established as a joint venture in 2001, Kaygee-Loparex is India’s largest release liner manufacturer. The state-of-the-art facility, located in Silvassa (near Mumbai), produces a wide array of custom-engineered silicone coated papers and films which support the diverse release liner needs of key industries including Medical, Tapes, Hygiene, Labels, Security, Composites and other industrial markets. In-house product development, combined with IMS Certification (ISO 9001:2008, ISO14001:2004 and OHSAS 18001:2007), practiced GMP, and robust quality management methodology ensure the highest standards of quality, efficiency, regulatory and EHS compliance. Loparex, the leading global supplier of release liners, also has manufacturing, product development and commercial operations in the US, Europe, China and Thailand. 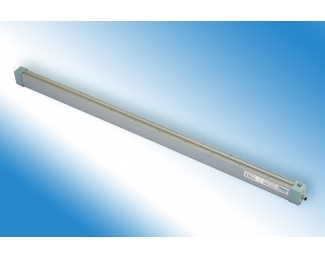 Meech’s Hyperion range of anti-static bars will be prominent on stand 6C34, at Labelexpo Europe 2015 (Brussels Expo, 29th September - 2nd October). The company will highlight the ways in which static control technologies can help improve safety and product quality in the labelling market. Meech will also showcase its unique range of web cleaning systems. Visitors to the stand will be able to view first-hand the complete range of Hyperion static control systems, which comprises the popular 971IPS and 929IPS anti-static bars, as well as some exciting new additions to the range. Also on show will be the ancillary enhancements, the distance sensor and feedback system. The development and expansion of the Hyperion range has been possible thanks to Meech’s close collaboration with its customers in order to understand their needs and demands. The end result is a range of systems that provides class leading static elimination, with the bars’ default settings allowing quick and easy installation for use on label production lines. Also on display at the show is Meech’s complete range of web cleaning systems, which includes the TakClean and CyClean. The TakClean, a contact web cleaner employed within the label printing sector, features specifically formulated TransTak elastomer contact cleaning rollers and perforated adhesive rolls, which make it ideal for narrower and slower presses. The CyClean is a compact non-contact system designed to remove and extract contamination. Meech have optimised the cleaning efficiency of the CyClean to remove contamination to below 1 micron. It is best suited for newer, high speed presses and can handle virtually any substrate. As a result, with new ink jet printable webs becoming available, the system provides a future proof solution. “With a long heritage in static control and web-cleaning, our key objective for Labelexpo is to show visitors to what extent Meech solutions can benefit companies in the labelling sector and advise them on the issues caused by static if left untreated,” concludes David. “We are very much looking forward to showcasing our offering to a wide, international audience”. Esko plans a big splash at Labelexpo Europe, the world's largest event for the label and package printing industry. On display right at the show floor entrance will be the full range of Esko solutions that help label and packaging converters build consistency and flexibility in their production workflows, no matter their size, the degree of complexity of their businesses or the printing technologies used. Esko will be located on stand 4C20. Labelexpo Europe 2015 takes place September 29th till October 2nd at the Brussels Expo in Belgium. To be successful in today’s market place, one must perform exceptionally well in all areas of label and packaging production. Brand owners create packaging designs that resonate with consumers and that are designed, approved and produced with the utmost accuracy. Converters execute these designs perfectly and as fast and efficient as possible. Everyone throughout the entire supply chain has to work together effectively to achieve these goals. To that end, Esko will present its renowned software solutions – covering everything from design over prepress and workflow automation, proofing and color up to the printed job, and beyond. Bundled under Esko Software Suite 14, the most complete collection of preproduction software tools available on the market, Esko’s software solutions optimize cost, streamline workflows and improve the overall quality and consistency, regardless if labels are produced digitally, in offset, flexo, gravure or screen print. Workflow automation is a top priority for successful label manufacturers, and Esko will have no shortage of ideas and options at the show to help businesses of all sizes increase automation, productivity and profits. At the heart of this are Esko Automation Engine, a modular workflow server with dynamic workflows that sets a new standard for prepress workflow automation with rock-solid quality control, and WebCenter, Esko’s unique and powerful web-based platform that manages the entire packaging and label project life cycle, including specifications and approvals. The latest release of Esko Software Suite adds flexibility for the user by enabling popular software editors like Studio and DeskPack to be used in subscription mode in monthly or yearly programs. The increasing demand for hosted applications is supported with the availability of WebCenter as a fully hosted solution. “Esko experts will be on hand to act as trusted advisors, listen to visitors, understand their business needs and recommend solutions from Esko and its partners,” Gougay adds. He points out that a broad range of Esko’s press, plate and software partners will also exhibit, providing the perfect opportunity for attendees to understand the benefits of an integrated workflow. Esko’s partners at Labelexpo Europe 2015 include – amongst others – press manufacturers Gallus, Nuova Gidue, HP Indigo, Mark Andy and Nilpeter; plate vendors Dantex, DuPont, Flint, Fujifilm and MacDermid; and software partners CERM and Chili Publish. “Labelexpo Europe 2015 is shaping up to be once again a fabulous show. We look forward to a fun and productive event guaranteed to deliver Results that Make You Smile!” Gougay concludes. 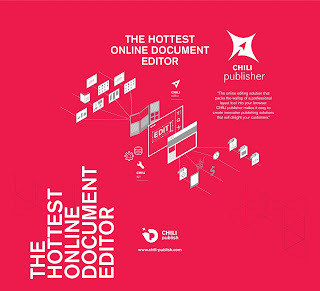 Chili Publish will be showcasing the Chili Publisher online editor at Labelexpo Europe 2015, the world's largest event for the label and package printing industry, taking place 29 September – 2 October at the Brussels Expo. From Stand 4C65, Chili Publish will demonstrate how their technology can be integrated into any label or packaging workflow to give printers, converters, brand owners, and designers a powerful resource that transforms how labels and packaging are designed and produced. In addition to the powerful design and editing functionality, Chili Publisher also includes features that lets users achieve cost savings on artwork creation and experience an increased speed to market. For example, the Alternate Layouts feature allows for a single set of design elements to be reused in different layouts, so designers are able to create and offer a wider number of versions and generate more specific, targeted campaigns. The 3D view gives users also the ability to see a real-world view of the impact of text changes before the label or package goes into production, resulting in shorter approval and review cycles. At Labelexpo Europe 2015, Chili Publish will be providing demonstrations and real-world examples of how these features have enabled label and packaging producers to succeed. In addition, Chili Publish technology can also be found in the solutions offered by their partners, including Esko (Stand: 4C20), CERM (Stand: 6A42), and Xeikon (Stand: 9C50/ 9B50/ 9C60). Chili Publish is a software company focused on the development and deployment of Chili Publisher, a powerful online editing solution. 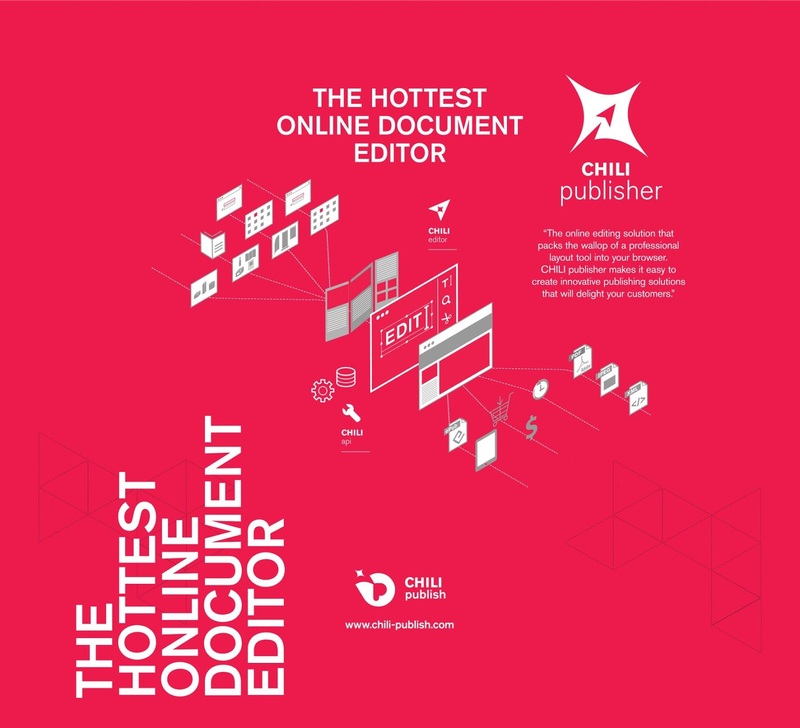 Chili Publisher can be seamlessly integrated into third-party workflows and production platforms, including Flash and HTML 5, to provide a wide range of customizable, easy-to-use browser-based editing functions. The software is sold through direct and value-added partner channels, with an expanding network of international representatives. Chili Publish was established in 2010 and has its headquarters near Brussels, Belgium. Asahi Photoproducts, a pioneer in flexographic photopolymer plate development, today announced the appointment of Mr. Paul Chant as UK Branch Manager. 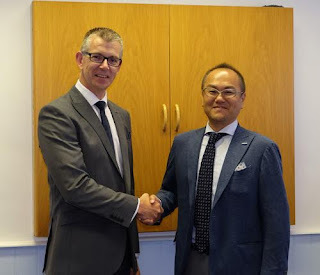 Chant joins the business at a time when Asahi Photoproducts is experiencing growth and expansion within the UK Flexographic market. He brings 28 years of experience from within the industry, having worked in the label, flexible packaging and reprographic sectors at senior manager and director levels. Chant previously worked for Asahi in a technical sales support role and now rejoins the company with responsibility for the entire UK business. The A.Q.U.A. (Asahi Quality Universal Assurance) service was launched in 2014 and is a critical element of Asahi’s market-leading technical support. Asahi’s enthusiastic team of experienced technical support staff works on site in close cooperation with printers, collecting valuable print characteristic data through quality audits ensuring optimum plate performance and stability as well as effective maintenance of equipment. Flexo Concepts announced that Danish company RR Print A/S has been named the exclusive distributor of TruPoint doctor blade products in Denmark, Norway and Sweden. RR Print first became interested in TruPoint blades at Labelexpo Europe 2013 when Flexo Concepts tweeted about its newest blade innovation, TruPoint Orange. The terms of the agreement outline exclusive distribution rights to sell TruPoint blades in the narrow web, wide web, envelope, offset and coating & laminating markets. The company will also sell into the corrugated market in the region. RR Print is a privately-owned company that represents a range of consumer goods and technical equipment manufacturers in the Scandinavian graphic industry. Products include paints, detergents and dampening solution for track cleaning systems, static control and complete post-press solutions. The company recently diversified into the narrow web sector, adding doctor blades, inks, varnishes and washes for the label market. Heidelberger Druckmaschinen AG (Heidelberg) is associated with the printing industry like no other company in the sector. For generations, the company has shaped the industry to make a success of printed communication in all its different forms. To maintain its position as the most reliable partner in the printing industry, Heidelberg has undergone extensive strategic development and systematically adapted its portfolio to today’s and tomorrow’s customer needs and requirements. The company is underlining this reorientation with the launch of a new brand identity. This development at Heidelberg will help customers remain successful in a changing market environment – to ensure lasting profitability, customers need a comprehensive and tailored package of services geared toward effective and reliable production processes, the right equipment for cost-effective investment, and exceptionally easy access to all tried and tested consumables. The new brand identity reinforces the customer benefits that Heidelberg is offering through its all-inclusive portfolio of digital and offset printing, workflows, consumables, and services. The focus is no longer simply on equipment, but on the integrated overall process and all the requisite components. The Heidelberg portfolio is based on three pillars – Services, Equipment, and Consumables. Each of these three areas of customer contact is being given its own color-coded identity – yellow for services, blue for equipment, and green for consumables. These colors are also used in the initial letter of the redesigned company logo. The new colors maintain a connection with the traditional Heidelberg blue, a symbol of the company’s competence, its unique global network, and all its staff. The first letter of Heidelberg will also be used as a brand icon alongside the new logo. As another new design element, Heidelberg will be using thematic icons to highlight the specific benefits for customers. As a result, communication will no longer focus on technical features and functions. Instead, Heidelberg will put customer benefits center stage in all its communication to make it easier for customers to find what they need in complex scenarios. It’s all about making things simpler, quicker, and less complicated. Image 6: An example for thematic icons. In future, Heidelberg will be using this icon to represent the following customer benefit: Ensuring maximum availability for a print shop’s production equipment is crucial to its success in business. By delivering quick access to services, expert knowledge, original parts, and consumables at all times, Heidelberg helps its customers achieve significant improvements in planning their own production and portfolio. How? With more than 3,000 specialists in 170 countries, Heidelberg boasts the largest service network in the entire industry. An intelligent knowledge management system is in place so that the right know-how is always available wherever it is needed. What’s more, with four logistics centers around the world, the logistics system is equipped to dispatch almost all service parts within 24 hours. In line with this new principle, these icons will be used to provide new levels of structure in the company’s communication and thus help customers orient themselves. 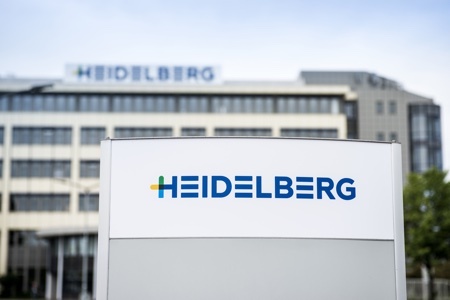 Visitors got a sneak preview of the new Heidelberg brand identity during the inauguration of the Print Media Center Commercial (PMC Commercial) at the Wiesloch-Walldorf site at the beginning of June. Over 500 customers came from all over the world to mark the opening of the PMC Commercial, which covers an area totaling over 4,700 square meters. The visitors were treated to practical demonstrations of integrated print production with a constant focus on customer benefits. The centerpiece of the PMC Commercial is an innovative presentation platform that uses interactive media to illustrate the aspects of workflow, consumables, and services and highlight their role in the overall process from the customer’s perspective when it comes to delivering high-quality, stable production. Together with the Print Media Center Packaging, Wiesloch-Walldorf can now lay claim to the world’s largest demonstration center for commercial and packaging printing in the industry. Launching the new Heidelberg brand identity at the inauguration of the PMC Commercial also marked the start of its global roll-out. By the time the drupa trade show is held from May 31 to June 10, 2016, in Düsseldorf, the new branding will have been introduced and implemented worldwide. Particular emphasis will be placed on any international adaptations required for the realignment, as market and customer focus are key here. In the past, innovative technologies may have been enough to ensure future success, but now this depends much more on solutions designed to meet specific customer requirements. Appleton Coated has entered into an agreement with New Leaf Paper to market and sell Reincarnation, a coated paper line made from 100% post-consumer recovered fiber (PCRF). Made in the USA at Appleton Coated’s mill, New Leaf Reincarnation is the paper of choice for some of North America’s leading environmentally-aware brands. 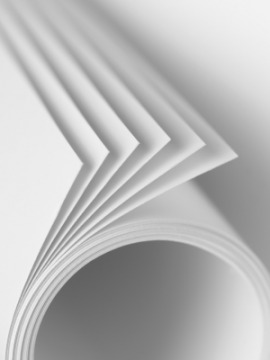 It is 100% PCRF coated paper with all fiber sourced within 100 miles of our mill, further reducing its environmental impact. It offers Forest Stewardship Council certification. It is process chlorine free, pH neutral and archival. It is Lacey Act compliant, and 100% of the electricity used to manufacture it is offset with Green-e certified renewable energy certificates (RECS). With 93 (GE) brightness and state-of-the-art coating technology it is the perfect combination of high quality, consistency, and sustainability. Reincarnation is offered in Matte, Dull, and Gloss finishes in a wide range of text and cover basis weights. Considerable interest in the product portfolio of BST eltromat at the Converflex 2015 in Milan: the provider of all-embracing quality assurance and product optimisation draws a very positive conclusion on their appearance at the international trade fair for processing, packaging printing and labelling that was held at Milan from 19 to 23 May 2015. The newly developed and further advanced appliance generations of BST eltromat catered for great interest at the fair stand. 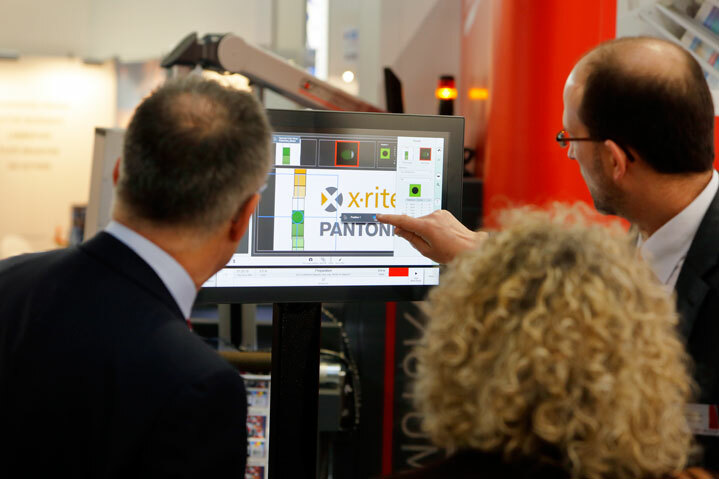 In particular, the live demonstration of the print monitoring and 100% inspection systems attracted the visitors’ attention. For more than 30 years, the Converflex fair has been regarded as international platform for the packaging printing, processing, labelling and tissue industry. This year, the BST eltromat group - together with its brands BST ProControl and AccuWeb - attended the Converflex fair to present the most comprehensive product range for quality assurance currently available on the market - and this was also noticed by the visitors. Many visitors to the BST eltromat fair stand took the opportunity to catch up on the most recent technologies used in the optimisation of manufacturing processes. Thus, the final statement of Paolo Tamburrini, Managing Director of BST eltromat Italia, on the results of the trade fair is highly positive: "We are very satisfied with our presence at this year's Converflex, regarding both the quantity and the quality of the visits of our stand. Many fair visitors were impressed by the fact that - contrary to our competitors - we presented a particularly high number of systems and solutions. On this basis, the very interesting discussions at our fair stand mainly focussed on our extended product portfolio." Amongst others, the area of surface inspection - and particularly the IPQ check surface for 100% quality control during production and for support of subsequent processes - created great interest. The visitors especially liked the print monitoring and 100% inspection systems from BST eltromat that were installed on two winders for live demonstration. The solutions from BST ProControl for surface inspection and layer thickness measurement also received exceptionally positive feedback. Finally, at the end of this year's Converflex, everybody agreed that the trade fair appearance of the BST eltromat group had been one of the most successful appearances for several years. Erhardt+Leimer, a leader in system solutions and process control equipment to web-based industries and AVT (Advanced Vision Technology), a leader in print inspection, print process control, and quality assurance, have announced signing and closing of the Alliance agreement between the two companies that will broaden product portfolios and strengthen services for customers of both companies, including end users and OEMs, through solutions born of the two companies’ combined experience and technological skills. As announced by the two companies last month, in a first step AVT will acquire E+L’s automatic print inspection solutions and will assume the responsibility to develop and manage these solutions for both companies’ customers in the Label and Packaging applications, including the corrugated segment. In return E+L will be entitled to future earn outs and a cash payment as per the set terms. As part of the agreement, Dr. Michael Proeller, E+L’s CEO, will be appointed Chairman of AVT’s Advisory Board and serves as an observer on AVT’s Board of Directors. The agreement makes AVT the official inspection and press control provider for E+L, including both current products and ongoing product developments in the printing sector. In the label market, AVT and E+L will continue to offer both Helios and Nyscan platforms and support them. In the future, AVT intends to merge the capabilities of these two platforms and offer both Nyscan and Helios customers an upgrade path to this integrated platform for optimal protection of their initial investment. Being an integration specialist, E+L is the ideal partner for the realization of complex automation and inspection solutions. Each company will then offer solutions from both AVT and E+L to all customers. Label & Narrow Web Inspection: E+L’s NYSCAN and AVT’s Helios platforms will be enhanced through combined support expertise and the increased potential for joint innovation. Vision & Viewing: The alliance leverages E+L’s view/vision technologies to enhance both view and inspection solutions and capabilities. Comprehensive End-to-end: The alliance creates a one-stop-shop for total quality assurance and process control solutions, from web guides and vision systems through press control and automation. Corrugated: The alliance instantly becomes a leading supplier and innovator for the corrugated industry’s fast-developing quality control needs. Existing products for corrugated printing will be further enhanced, and plans are in the works to introduce several additional offerings. Many of the advantages to which customers will be privy also will be enjoyed by original equipment manufacturers (OEMs) that partner with either AVT or E+L. OEMs will benefit from the one-stop-shop created by the alliance, providing everything from web guides, measurement systems and viewers to press control solutions, workflow management set-ups and automation. “Now that the agreement is signed we are eager to start working together, combining the skills and technological assets of both companies to bring even better solutions to our customers,” said Jaron Lotan, CEO of AVT. Headquartered in Hod-Hasharon, Israel with sales, marketing, and support offices in the United States, Europe and China, AVT is the global leader in print process control, quality assurance, and press control for the packaging, labels, and commercial print industries. Backed by state-of-the-art technology and field-proven solutions, more than 7,000 AVT systems are installed at customer sites worldwide. Headquartered in Augsburg, Germany with factories and subsidiaries all over Europe, the US, Canada, Brazil, India, China, Taiwan, Korea and Japan, E+L is the worldwide leading company in web guiding, web viewing and web tension control. E+L sells averagely 15000 of these systems annually through its extensive international network and is the undisputed market leader in this field. EFI is marking the 10-year anniversary of its acquisition of Vutek, a pioneering developer of superwide-format industrial inkjet technologies. The landmark deal, completed on June 3, 2005, moved EFI from focusing only on digital production and print MIS workflows into the industrial inkjet space – an industry segment that continues to be one of the best-performing parts of the global graphic arts and printing market. “Ten years later, the significant success we have seen with our Vutek, Jetrion and Cretaprint products definitely validates our decision to enter the industrial inkjet market,” Gecht said today. Today, EFI’s robust inkjet portfolio has expanded beyond Vutek superwide-format printers to include Jetrion label and packaging printers, wide-format printers, inks and Cretaprint ceramic tile printers. 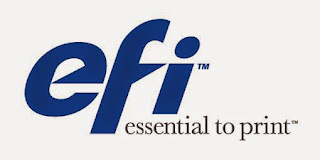 EFI is a worldwide provider of products, technology, and services leading the transformation of analogue to digital imaging. 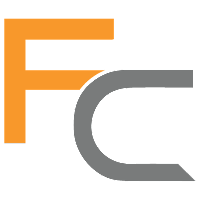 Based in Silicon Valley, with offices around the globe, the company's powerful integrated product portfolio includes digital front-end servers; superwide, wide-format, label, and ceramic inkjet presses and inks; production workflow, web to print, and business automation software; and office, enterprise, and mobile cloud solutions. These products allow users to produce, communicate, and share information in an easy and effective way, and enable businesses to increase their profits, productivity, and efficiency. MPS recently announced that Pragati Pack, based in Hyderabad, India, has invested in their third MPS press for printing pressure-sensitive labels. Ordered was a new 8-color MPS EB 370mm flexo press through the MPS Indian agent Genius Flexo Machinery, with installation planned for September 2015. Pragati Pack, MPS and Genius Flexo Machinery signed the contract during an official signing ceremony held in the presence of the Dutch government delegation on June 5 in New Delhi. Present for the Pragati Pack signing ceremony was Dutch Prime Minister Mark Rutte, accompanied by Lilianne Ploumen, Minister of Foreign Affairs and International Development, and Sharon Dijksma, State Secretary of Economic Affairs. The MPS EB flexo press features a modular design with self-evident high print quality, predictable and reliable productivity, and operator-friendly press operation. Available with a material width of 370mm and a configuration of up to 10 print stations, the EB press is an ideal solution for the printing and converting of self-adhesive labels in both short and long label print runs. In 2006, Pragati Pack bought its first MPS 8-color 410mm press with a full UV-curing machine, online cold-foil, lamination and die-cutting options when it started its flexo division. The company invested in another MPS 8-color 330mm flexo press with automated print control (APC) on the print pressure settings in 2012. Running the presses in two shifts of eight hours each, six days a week, Pragati prints an average of 110 jobs on its two existing MPS presses. Established in 1962, with headquarters in Hyderabad and offices across India, Pragati offers high-quality print services to customers in India and world-wide. Pragati Pack is a fully owned subsidiary of Pragati Offset. Pragati is the most highly awarded printing company in India, winning the prestigious SAPPI International Printer of the Year thrice (in 2006, 2008 & 2010) and also a multiple winner of the coveted WorldStar Packaging Awards. From coffee-table books to brochures and calendars, high-quality paperboard cartons to luxury rigid boxes, and from flexographic labels to shrink-sleeves, Pragati covers the full gamut of high-end print requirements. Pragati customers include some of the top corporates and design houses in India and abroad. With a tag line that reads >>MPS - Operator Focused, Results Driven<< MPS is a worldwide, well-known and high-quality brand of flexo and offset press solutions for label and flexible packaging printers. By providing extensive knowledge and world-class service to enhance the printing process, MPS helps customers excel. MPS has a team of experts when it comes to knowledge of the printing process and desired results in label and flexible packaging print runs. We share and apply our expertise every day, and can offer a specific solution for every customer. Jindal Films, the world’s largest BOPP & BOPET company announced its innovation capability additions in Europe (Virton, BE) and North America (La Grange, GA). The two complementary locations will house state-of- the-art testing laboratories for exhaustive film characterization, and will be uniquely equipped to simulate customer conditions on packaging, printing and labeling machines. A brand new highly flexible Orientation Pilot Line will be centrally installed in Virton to better serve their new developments globally, have quick access to new film prototypes and accelerate new films ready to market. This impressive hardware capability will be combined with a highly skilled international team of scientists, engineers, and technicians who master all fields of expertise from polymer & coating science, down to processes and field applications. Scott Van Winter, EVP Americas, stated: “This underscores our long standing commitment to providing customers with next generation technologies. Our focus is on leveraging our global scale to deliver local advantages for our customers”. Paul Griffith, EVP Europe and Asia, added that “our customers expect rapid innovation and this new complementary global set up will enable us to solve more challenging packaging problems and deliver solutions in a faster time-to-market”. Work will commence immediately and is planned to be fully commissioned by July 2016.